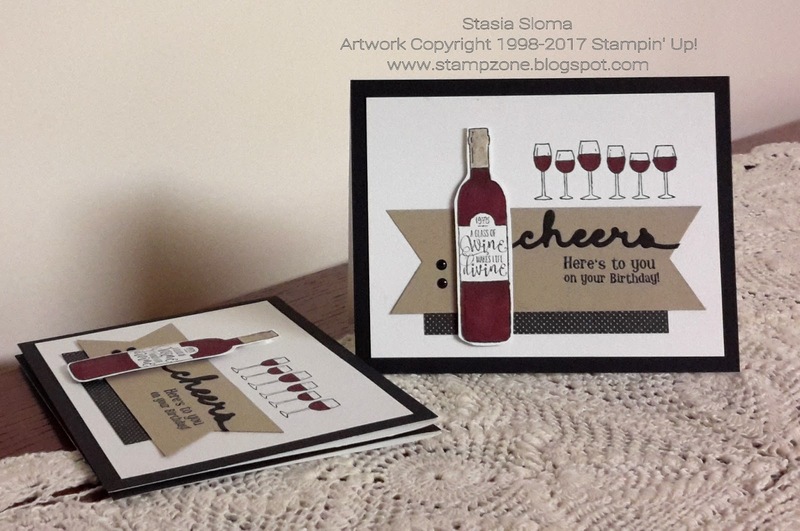 So how great is this wine set that Stampin' Up! released in the holiday mini. I didn't even think we needed one until I saw it in the mini. This is one of my favorites. The wine bottles were stamped and colored in with Chameleon markers (burgundy) and the Stampin' Write Markers (crumb cake). The sentiment comes from a Skipping Stones Design. The cheers comes from the Greetings Framelits. The designer series paper is the Urban Underground from the Occasions Mini.